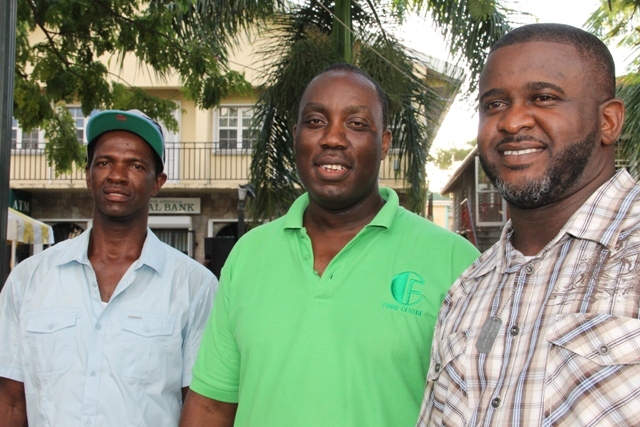 NIA CHARLESTOWN NEVIS (OCTOBER 06, 2015) — Vice President of the Nevis Bus Association Davron Maynard praised the Nevis Island Administration (NIA) for entering into a partnership with the organisation, which serves to benefit the seniors on Nevis. He was at the time referring to the Ministry of Social Development’s Seniors Subsidized Transportation Programme which was launched on October 01, 2015. According to Maynard, the Association was approached and a proposal was presented regarding transporting seniors to various locations for a flat rate of $1.00. However, considering the association member’s passion for the elderly they decided to take them to their destinations free of cost. Maynard noted that the NIA agreed with the decision but in return members of the association would be rewarded for their service. “The Nevis Island Administration gave us duty free on all mechanical and body parts. They gave us duty free on 18 tyres per year. “Presently, we have two brake pads per year and four disc pads per year and there are other things we benefit from the government because of this programme,” he said. The association’s vice president used the opportunity to appeal to bus drivers who are not members of the association to join because the 50-member-strong organisation is also being recognised by the private sector. However, he warned that incentives would not be forthcoming as soon as prospective members signed up. Maynard explained that in order to receive benefits, one has to be a bona-fide member of the association for at least six months to receive duty free concession on new buses. However, Maynard also appealed to members of the association to be courteous and respectful to the seniors who drive with them. He said he also expects the seniors to exercise the same courtesies to the bus drivers. 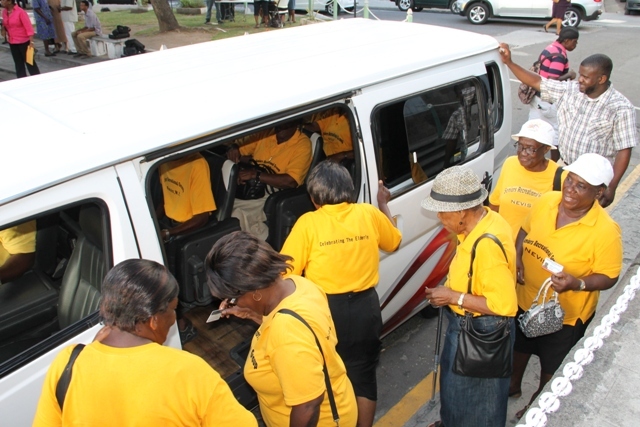 Maynard stated that the association had in place a disciplinary committee comprising of its president, vice president and two secretaries, in the event a bus driver is rude to any senior or member of the public. He said members of the public could make complaints to any member of the executive and the accused would face disciplinary action. The other executive members of the Nevis Bus Association are President Kurt Swanston, Public Relations Officer Charles “Junie” Liburd, Treasurers Elmo Grant and Kevin Huggins and Secretaries Telcia Jeffers and Casey Sargeant.